Alan Guebert is an award-winning agricultural journalist and expert who was raised on an 720-acre, 100-cow southern Illinois dairy farm. 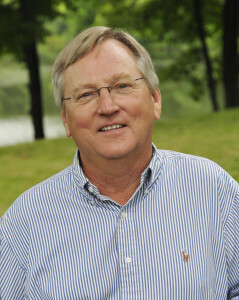 After graduating from the University of Illinois in 1980, he worked as a writer and senior editor at Professional Farmers of America and Successful Farming magazine. In 1984, Guebert returned to Illinois to establish his freelance writing business and to serve as a contributing editor to Farm Journal magazine. He began the syndicated agriculture column “The Farm and Food File” in 1993 and it now appears weekly in more than 60 newspapers throughout the United States and Canada. Guebert previously wrote ”Letter from America,” a monthly perspective on U.S. farm and food policy for European and Asian publications. “Letter from America” ran from 1995 through 2007. Throughout his career, Guebert has won numerous awards and accolades for his magazine and newspaper work. In 1997, the American Agricultural Editors’ Association honored him with its highest awards, Writer of the Year and Master Writer. Alan resides with his wife, Catherine, a social worker, in rural central Illinois. Their son Paul, an attorney and lieutenant commander in the U.S. Navy Reserves, lives in the Chicago area with his wife, Anamaria, and their two children. Alan’s daughter/editor Mary Grace and her husband Andrew Foxwell co-direct the social media advisory firm Foxwell Digital in Madison, Wisconsin, where they advise companies and non-profits on digital marketing strategy. Alan and Mary Grace collaborated and co-wrote The Land of Milk and Uncle Honey: Memories from the Farm of My Youth. Published in May 2015 by the University of Illinois Press, it is available for purchase online and at bookstores nationwide. Alan and Mary Grace held over 75 book events with farmers, foodies, and friends across the country.